With the holiday season approaching, there are only so many weeks between calm, organized, and enjoyable decorating and frantic midnight gift runs. To help you avoid the latter, we've made a list (and checked it twice). 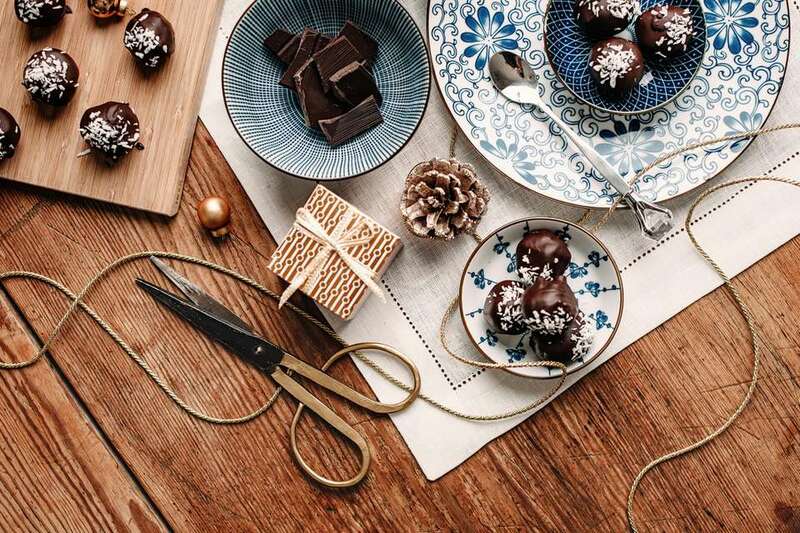 Celebrate the merry season with these holiday gift and décor ideas. Sure to please even the most stubborn of gift receivers (yes, even that one grumpy uncle you have), they'll help you master the art of Christmas-ing with ease. We will be adding more of our favorite picks to this list as the holiday season progresses, so be sure to check back for more! This knit table runner is sure to keep your table warm and give your Christmas set-up a winter feel. Pair with matching knitted stockings for the ultimate cozy look. These super cute salt and pepper shakers are perfect for subtle Christmas decorators. Add them to your table this year to make it feel just a pinch more like the holiday season. Like traditional lights, but make it boho. This "Lit Rope" is a chunkier statement that will still look good with your neutral tones all year long. Throw these on your couch for an effortlessly casual way to introduce the holiday season into your home. They also serve as a very comfy way to show someone you care! These tree-shaped candles are a great addition to your tabletop. Coming in a range of sizes, buy one as a statement piece or them all for a table-top forest. Fold out the fun with these quick and easy decorations! Coming in three different sizes, these are the perfect addition to almost any bench, table, or countertop. Add a touch of green to your table decor with these cute fern plates, perfect for serving delicious dinners on all winter! Who says Christmas lights can't be in letter form? These retro lights will add some shine to your holiday season with the added bonus of never having to take them down. JCPenney's new lifestyle brand Peyton & Parker has the perfect affordable chunky stocking. Coming in red or white, pick your favorite for your holiday mantel. Give the gift of indoor grilling this year with this smokeless electric grill from Wayfair. Perfect for that one family member who always overcooks the bugers at the summer BBQ and could use a little winter-weather practice. Unsure what to give to someone who's visiting from overseas? This packing trio is the perfect pack-down practical gift for those that tell you "don't get me anything." Coming with five color options, choose their favorite color or pick red for a holiday touch. The perfect gift for the kid or kid-at-heart with their head always in the clouds (or stars). Aside from looking striking on any wall, it's also an informative view of the night sky! Give a child the gift of a campfire (without all the fire risks). This super adorable plush set will give any room the illusion of being warm and cozy all winter long, while also being fun to play with. This cute wooden train advent calendar is a fun and interactive DIY build that will help you countdown to Christmas. Give as an early gift to any kid or keep for yourself (and pretend it's for the children). What Are the 10 Best Christmas Trees You Can Buy?